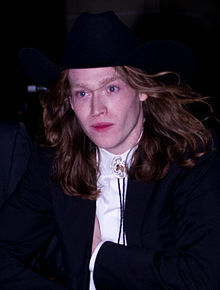 Caleb Landry Jones (born December 7, 1989) is an American actor and musician, best known for his roles as Banshee in X-Men: First Class (2011), Jeremy Armitage in Get Out (2017), and Red Welby in Three Billboards Outside Ebbing, Missouri (2017). You don't want to meet anybody in Cannes. It's the worst place, I think, to meet somebody - one of the worst places. As an actor, you pay attention very closely to everything that happens to you, and you're constantly watching others as well, trying to just find out where everything comes from. Actors are always the last to see what they have created. I began with small roles in successful movies like 'No Country For Old Men' by the Coen brothers; but it was 'The Last Exorcism' that changed my life: with what I earned, I left Texas and moved to Los Angeles. I don't know if I'm a method actor. I have been acting since I was thirteen.